Touch (a.k.a. 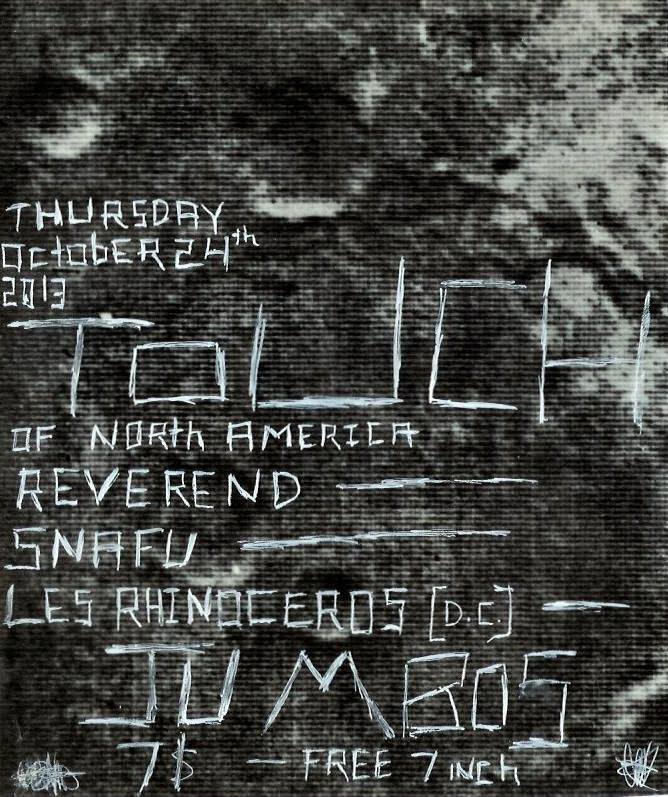 Touch of North America) is getting ready to release a new 7" this Thursday. This punk/metal/with a touch of grind band is the newest project of Jeremy Damaske, Shayne O'Keefe, and Matt Conzett. The band started back in January of this year and has already release a full length CD and now this 4 song album. We really think a lot of you are going to dig them, if you don't already. You can check out all of their music on their bandcamp and the first release is even available as a free download. 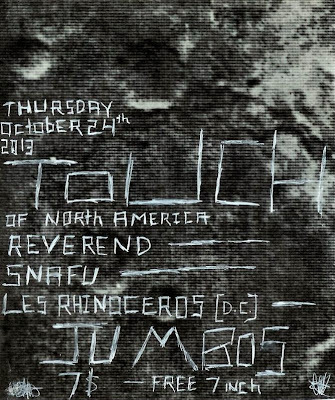 Touch's 7" Release Show is this Thursday at Jumbo's. Joining them are S.N.A.F.U., Les Rhinoceros (DC), and Reverend. 7 bucks gets you in the door and gets you a copy of the 7". The show starts at 9 p.m. For more details head over to the Facebook event page and while you are there make sure you read their descriptions of the bands. Pretty hilarious. Celebrate Dia De Los Muertos at Imperial! Halloween at The Loving Touch! Win Tickets to We Came As Romans!!! Celebrating 5 Years of Slow Jams! Against The Grain Halloween Party!!! Zombie Dance Party 10 - The End!!! Your Guide to Cider Millin' this Fall! Win Tickets to Trick Trick!!! PJ's Lager House Halloween Cover Show 5! Win Tickets to Fidlar with The Orwells!!! Catch Grooms at the Lager House this Saturday!!! Win Tickets to See Between The Buried And Me!!! Win Tickets to Fall Out Fest! Food Time! Ferndale Restaurant Week!